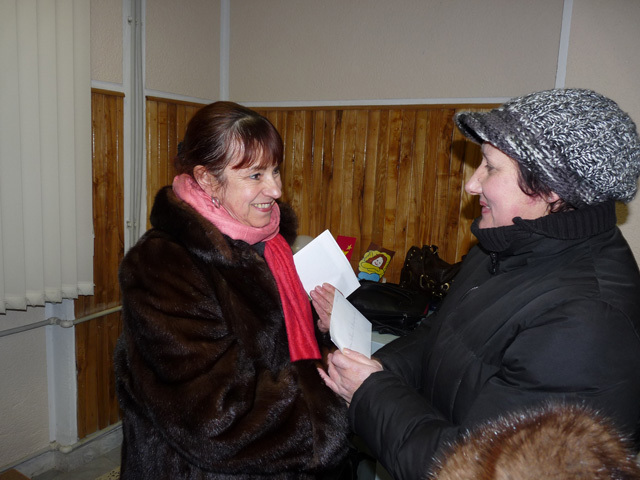 The German organization "Johanniter" organizes Christmas gifts for deprived people of Moldova during several years. 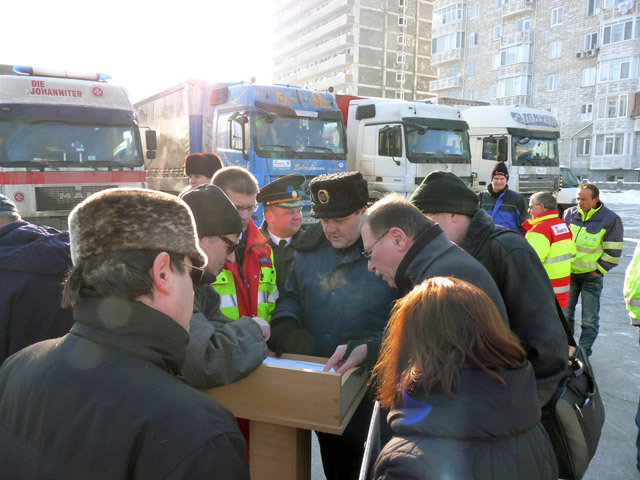 The next Christmas convoy with seven trucks full of Christmas gifts came on December 29, 2010. This action was organized with the direct participation of the German Embassy in Moldova, the Ministry of Interior and Mr. Ulrich Wiesmann. 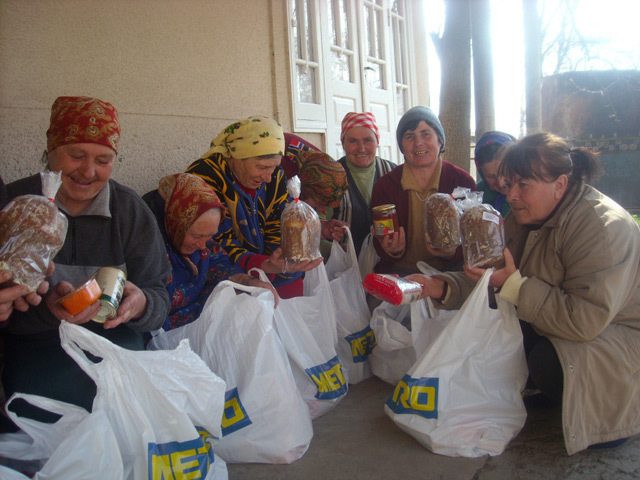 About 2 tons of Christmas gifts were received by PRO UMANITAS and delivered to Grigorauca, district Singerei for further distribution. 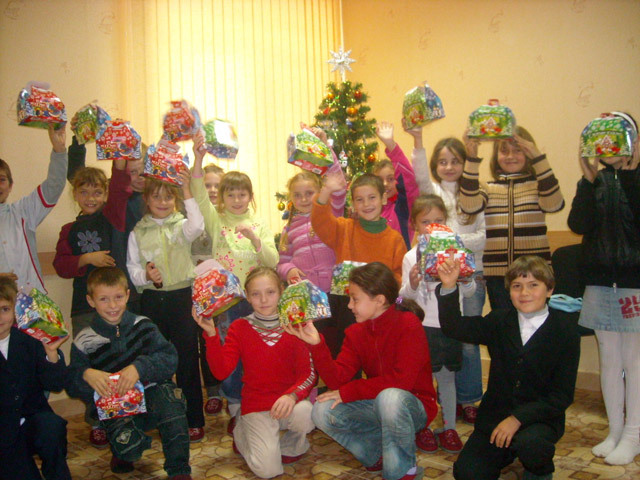 The children from deprived families that go to the day care center "Saint Maria" in Grigorauca rejoiced Christmas gifts. They came with sledges this year to, in order to bring their gift home. 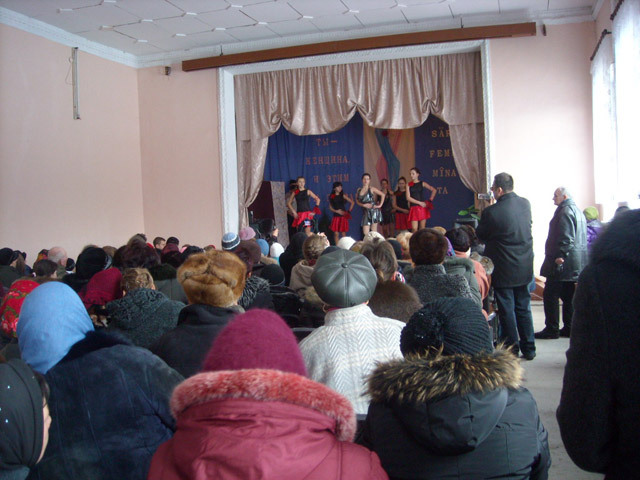 The traditional annual meeting with the members of the board of PRO UMANITAS took place on December 16, 2010. The goal of the meeting was the results review of our activity during the year 2010. The perspectives for 2011 were discussed and coordinated. Every child dreams of a happy Christmas. Every year millions of trees are decorated with beautiful Christmas decorations. Children eagerly await their gifts under the Christmas tree. 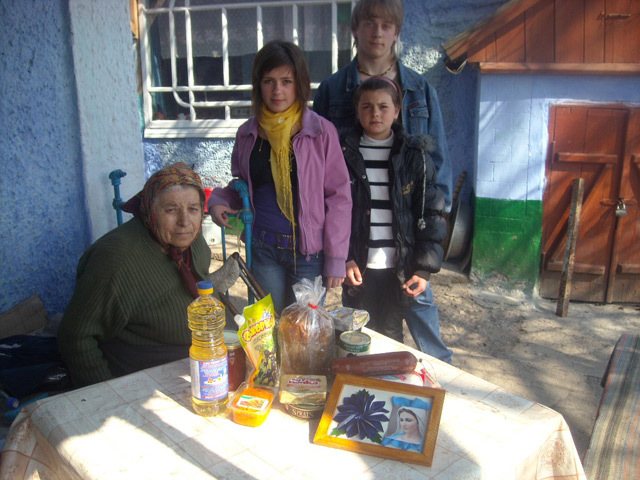 Unfortunately, not all families from Moldova have the possibility to keep a real Christmas. Though, the Christmas miracle lives in our hearts. How delighted and surprised the children from deprived families of Moldova were, when they found under the Christmas gifts under the tree. 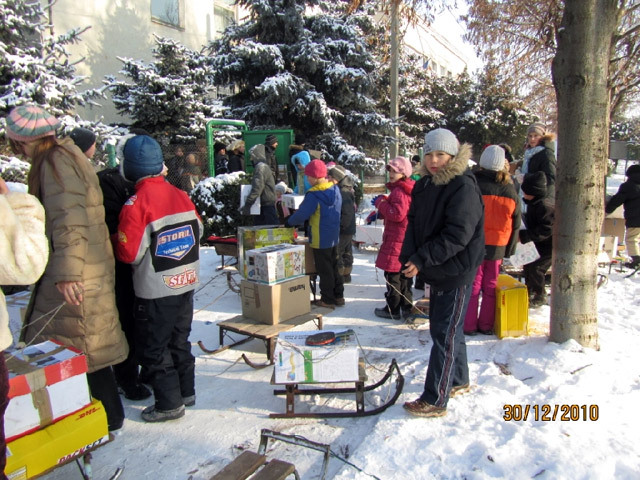 About 1400 children from all of our BUNVOLENTIA projects and from Catholic Parishes in Moldova received gifts within the traditional Christmas action. The local bishop of the Roman Catholic Church, Msgr. Anton Cosa, visited in the presence of the mayor Victor Capatina and the vice-mayor Sebastian Besliu the Day Care Centre for Children BUNVOLENTIA in Cojusna, the first from those 14 BUNVOLENTIA - institutions and also the kindergarten of the village. He was impressed by the great work and by the nice atmosphere from the centre. At the same time he sympathized with the children from the kindergarten who are obliged to sleep in bad conditions, so that he recommended with conviction the realization of the necessary reparation works. An informative meeting with the students financed by Solon Foundation within the project "Support for students from deprived families" took place on November 20, 2010. The further education of 50 deprived students at a public or private university was financed this year too. As always, the students were familiarized with the terms of the scholarship program. They signed a contract and expressed their sincere gratitude for the received grants from Mr. Douglas Funk from Solon Foundation. Results of the education in the day care center "Saint Maria"
The couple of our day care center for children "Saint Maria" Manitcaia Lera and Ghela Beridhze participated in the International Festival of Sport Dance CAHUL 2010. 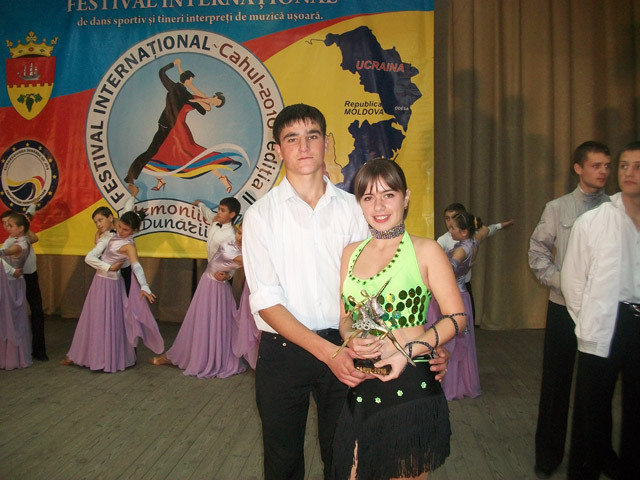 Among the representatives of Ukraine, Romania and Moldova, our couple performed with dignity. Ghela and Lera joined the district dance group this year. 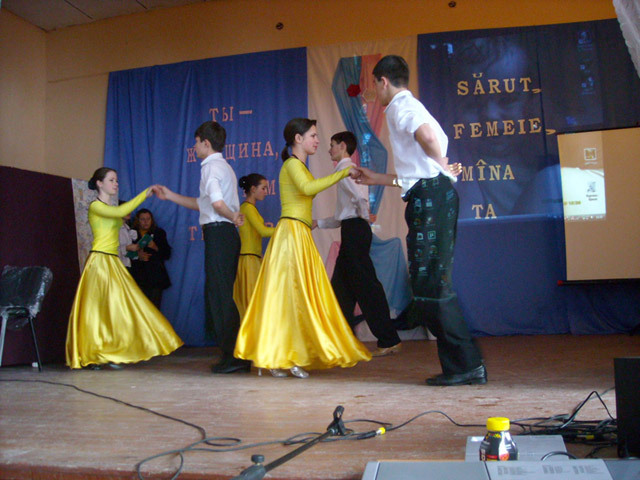 The dance teacher from the day care center "Saint Maria" is the choreographer of this district dance group that took part in various dance competitions. Our dance duo also represented the Grigorauca village at the Republican Festival "Polish Spring" and took the second place. 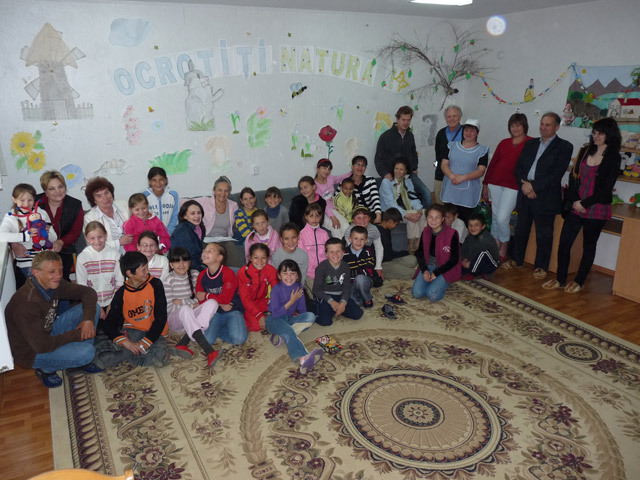 Our day care center for children BUNVOLENTIA – Cojusna was attended by high-ranking guests. Valentina Stratan-Golban, Member of the Moldovan Parliament, Chief of the Commission for Social Protection, Health and Family, Mr. Constantin Marola, Chief public health physician of the district Straseni and Mr. Sevastian Besliu vice mayor of the village Cojusna expressed their admiration and enthusiasm about this day care center. They were impressed by the care, concern and support provided to deprived children. P. Erwin Benz from Switzerland was received by the local bishop Mgr. Anton Cosa and had the opportunity to present his engagement with PRO UMANITAS; the same opportunity was offered to him at the Orthodox Metropolitan Vladimir. In this context, a meeting with Msgr. Benone Farcas takes place. He meets further the ophthalmologist Dr. Tatiana Ghidirimschi, who mediated the contact to the hospital in Criuleni, where the surgeon from Zug Dr. Beat Wicky initiated an equipment and rehabilitation program. Beat Reber, CEO of Belimed, and he cleared the technical and logistical conditions for the establishment of the sterilizers on-site. In the days when computers are omnipresent, both in professional as well as in private sectors, the need for computer and computer learning is greater. The Embassy of the Federal Republic of Germany in Moldova provided our day care centers for children with computers, so that the country children have the opportunity to learn how to use a computer. 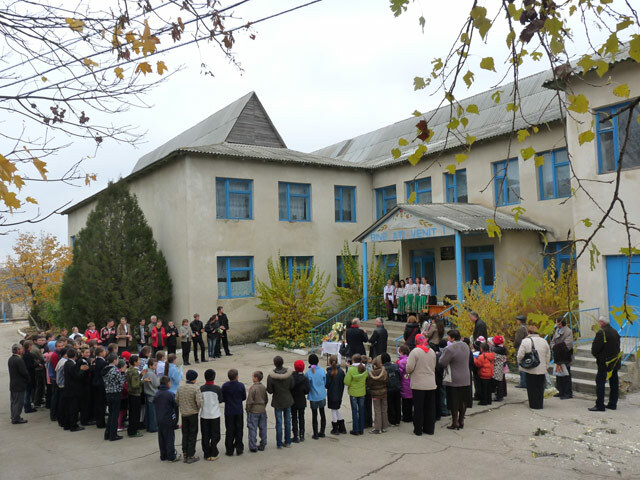 The official opening of the day care center for children BUNVOLENTIA – Vladimirovca took place on 25.10.2010. The entire school welcomed our guests – Mrs. Monika Jahncke, Germany, the President of HCN, Mr. Peter Garst – with the traditional bread and salt. The speeches of thanks of the President of the district Singerei, Mr. Vasile Doga and the Mayor, Mr. Cosma Serbulet, as well as a small concert opened the festive occasion. After cutting the tape the center’s activity began. 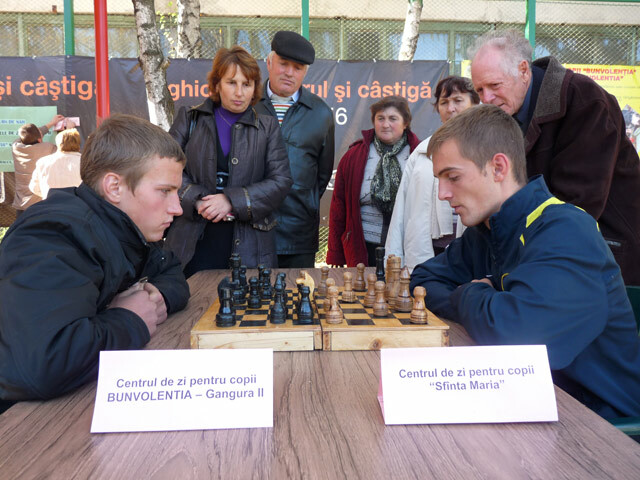 For the first time an important event for the children, that visit our day care centers BUNVOLENTIA and “Saint Maria”, took place on 23.10.2010 within the seminar – the chess competition. 16 children competed for the first title. 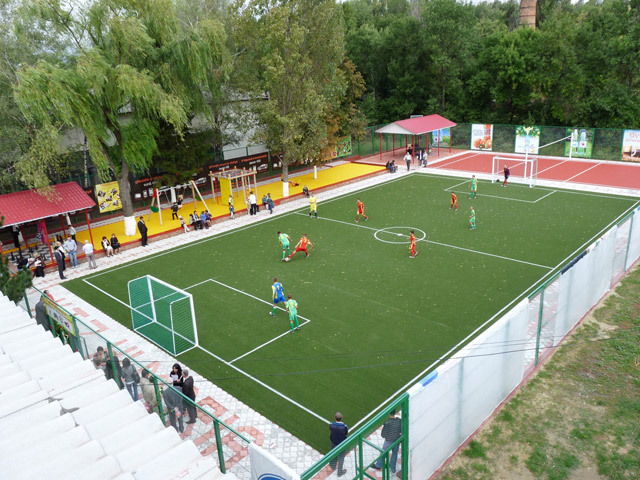 The day care center BUNVOLENTIA – Bilicenii Vechi took the gold medal. 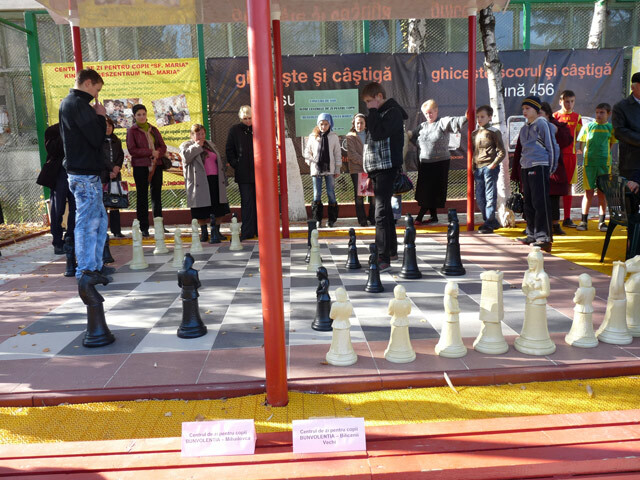 It is noteworthy that the chess sets were made by the children from the day care center BUNVOLENTIA – Cozesti I. 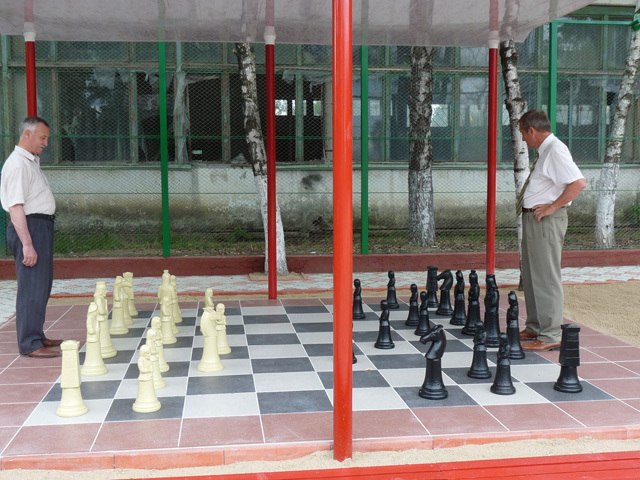 The final game was played on the chess field of the new sports and play ground of the day care center “Saint Maria”. The President of HCN handed gifts to all participants. 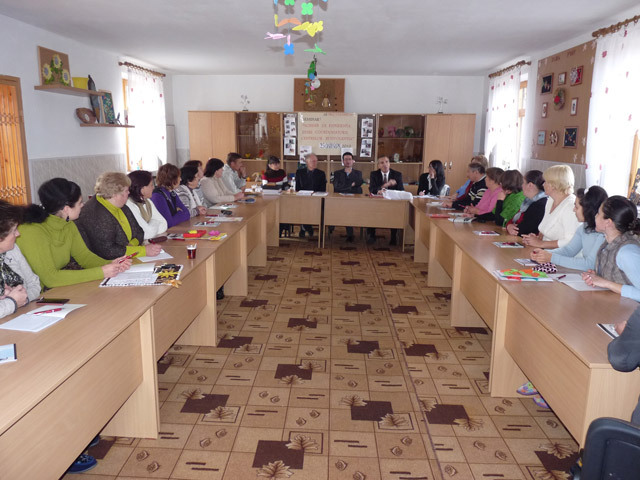 The exchange of experience and information seminar was organized within the day care centers for children on October 23, 2010 for a seventh time. 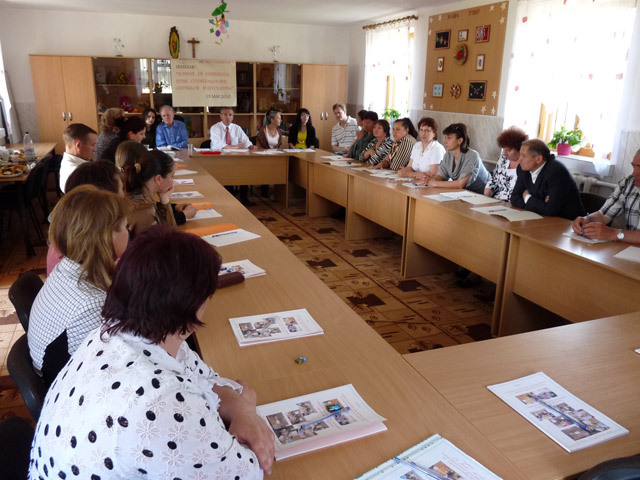 During the seminar, the educators of the new 14th day care center BUNVOLENTIA – Vladimirovca were warmly welcomed. 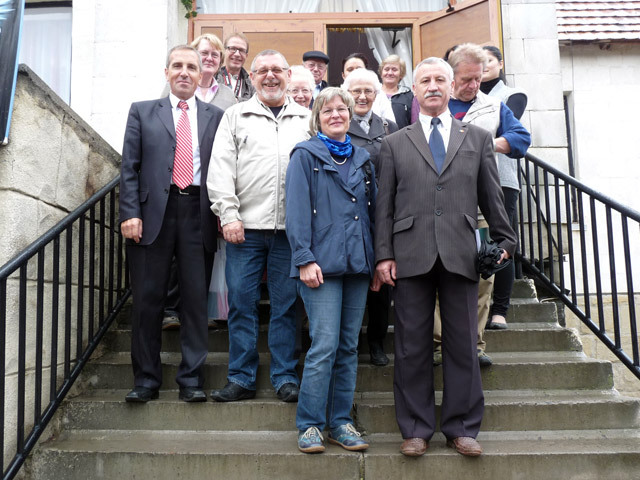 Representatives of the centers – all together 21 coordinators, educators and teachers – Priest Daniel Medves and the President of the Swiss organization “Help for Children in Need” discussed the progress that the exhibition of handworks has revealed, and the difficulties. As proof of their gratitude, the children made beautiful greeting cards for the sponsors. By force of different circumstances some of the sponsors of the project “Sports and play ground for the children of the day care center “Saint Maria” in Grigorauca village” were able to visit Grigorauca village on September 8, 2010. 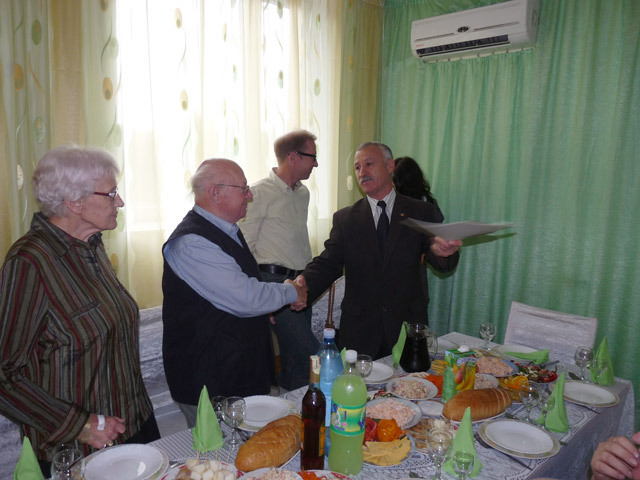 The President of district Singerei Mr. Vasile Doga organized a meeting the same day; within this meeting he presented with profound gratitude Mrs. Gertrud Löns / Germany and Thienel family / Germany with letters of thanks. 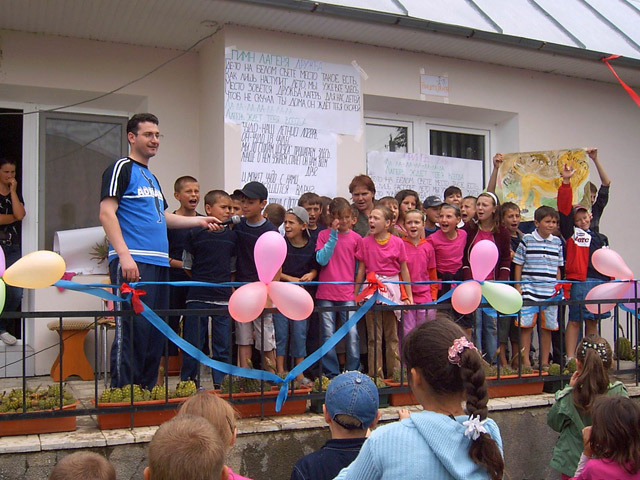 A long – awaited and full of joy event took place at 02 September in Grigorauca – the official inauguration and consecration of the „Sports and play ground for the Day Care Center for Children „Saint Maria” in Grigorauca village”. It was a true celebratioin for children and young people from the village, who waited with a great delight the opening of the Project and also the possibility to play the first football match on the new football field. Esteemed Guests, Partners and Administrative Authorities were part of the manifestation: Father Erwin Benz / Switzerland, Mr. Dr. Alexander Koss from Südzucker Moldova SA / Republic of Moldova, Mr. Cebotari, Secretary of Football Association of Moldova / Republic of Moldova, Mr. Vasile Doga, President of Singerei District, Mr. Anatol Hajevschii, Mayor of the Grigorauca village / Moldova and of course the children and the young people from the village. 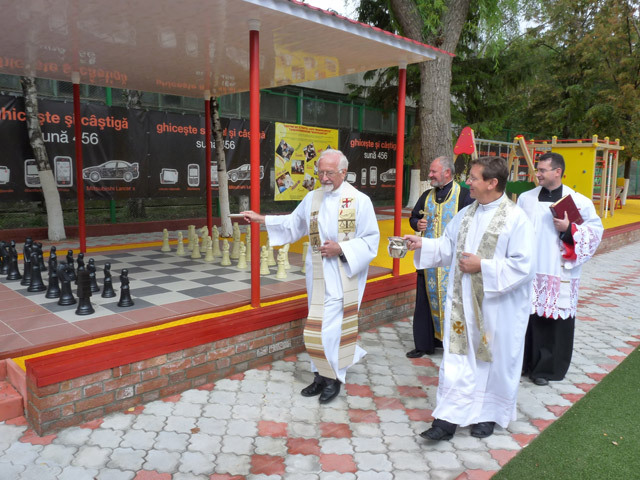 Father Daniel Medves, Father Piotr Kuschmann – the spiritual leader of PRO UMANITAS –, Father Erwin Benz and Father Valeriu Gitu, the priest of the Orthodox Church from Danceni village, consecrated the sports and play ground. The Local Government Baar in the canton Zug, which has approximately 22.000 inhabitants, offers four times per year business lunches were are invited the entrepreneurs from the local Government. Besides the Information from the Local government and concern for its contacts, is presented at each meeting a report. At the business lunch from this summer, Father Erwin Benz made a presentation about our charitable association, our projects and our modes of operations. Baar has already made contributions for PRO UMANITAS twice within the Help for Foreign Countries. 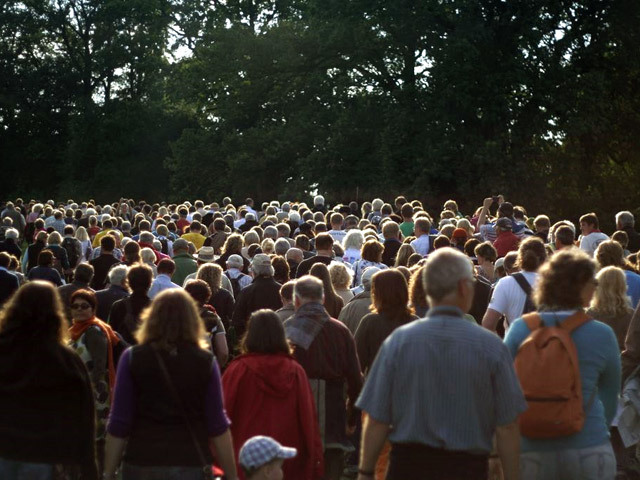 The traditional Culture Festival is annually organized by the German organization "Menschen helfen e.V. 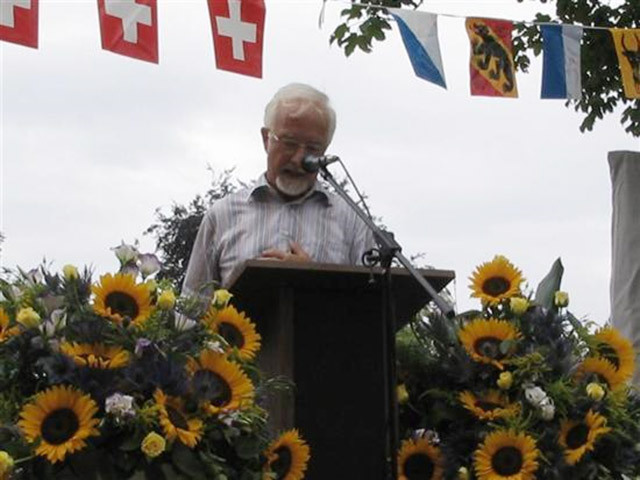 ", President Dr. Robert Roithmeier, in Seehausen. 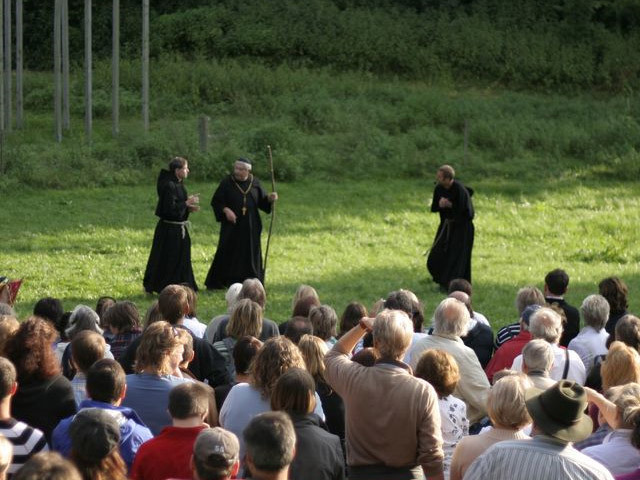 It took place by the end of July this year and brought together many visitors. 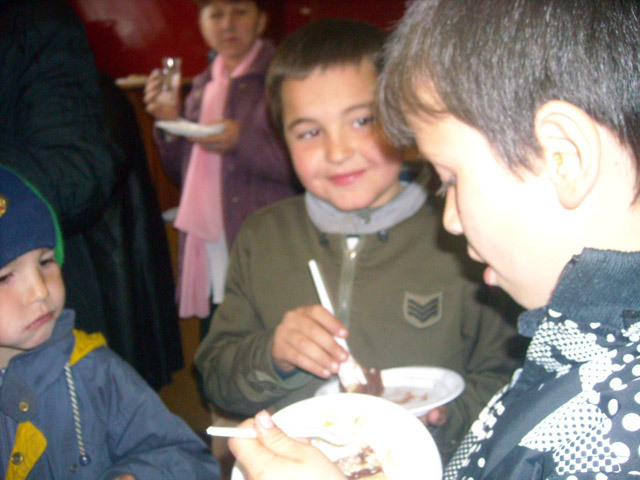 The gains from the Festival come to benefit of the deprived children from the day care center "Saint Maria" in Grigorauca village. 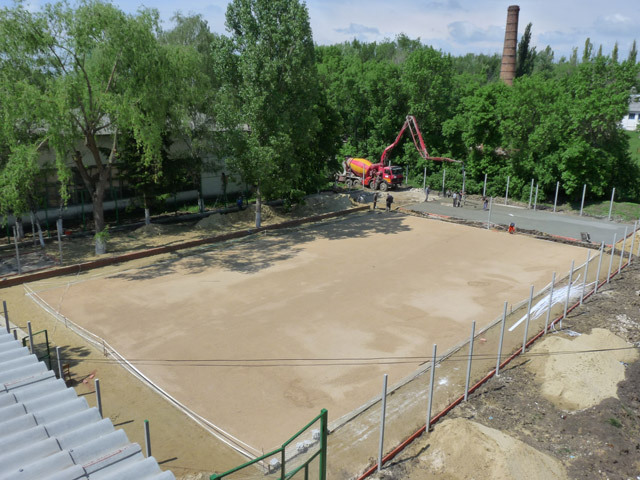 We would like to inform you that the construction works of the sports and play ground in Grigorauca village came to an end. The official opening of the project takes place on September 2, 2010. In name of the children we express our gratitude to all partners for their great contribution to the project's implementation and invite You to the official opening. Dr. Beat Wicky, Specialist FMH for surgery, Zug / Switzerland, was on visit to Moldova to examine the possibility of a medical project in Moldova. Dr. Wicky is also a member of the Rotary Club Zug-Kolin that supports the running costs of the day care center BUNVOLENTIA – Misovca. There is nothing more wonderful than the happy soul of a child, if it finds love and security. Our day care centers for children offer to the children this feeling of security. The opening of a new day care center will provide to another 20 children from poor, deprived and disadvantaged families healthy nourishment and professionally oriented education. 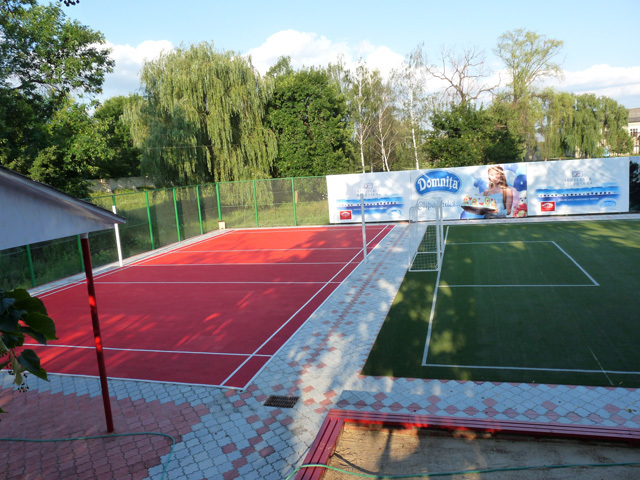 The 14th day care center BUNVOLENTIA – Vladimirovca will be opened on September 1, 2010. The long-awaited summer holidays have already begun and, as every summer, camps are organized for children from our day care centers BUNVOLENTIA. The kids can spend a nice holiday. 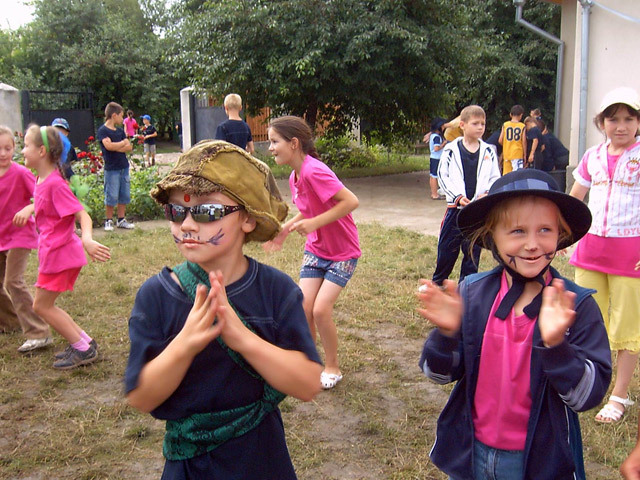 The educators of the day care centers, full of imagination and initiative, make a program for every day, so that children enjoy various holiday trips to Moldovan monasteries, to the zoo, botanic garden and museums from the capital Chisinau. In addition to that painting, handwork, singing, dancing and competitions. 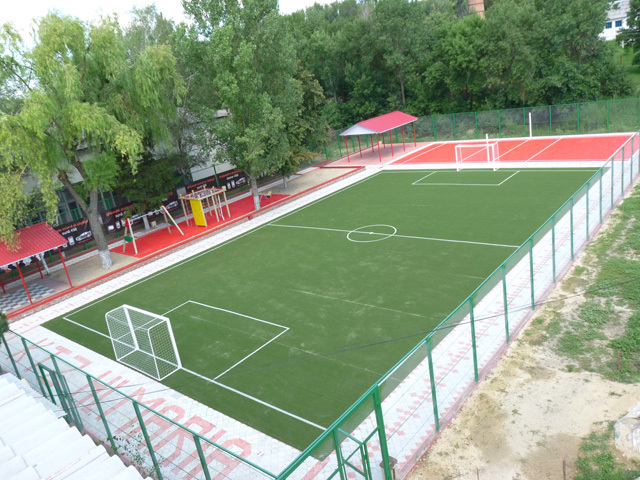 The construction works of the sports and playground in Grigorauca village were completely finished. 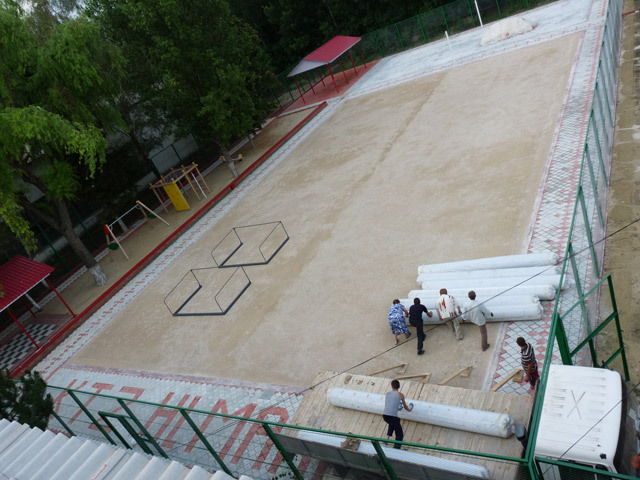 As promised, the Moldovan Football Federation delivered plastic cover for the sports ground, which will be soon installed. 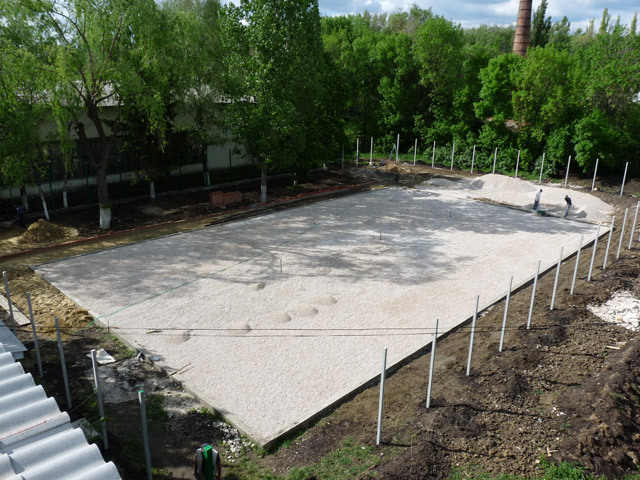 The construction works of the sports and play ground for the day care centre for children "Saint Maria" in Grigorauca village are 90% finished. 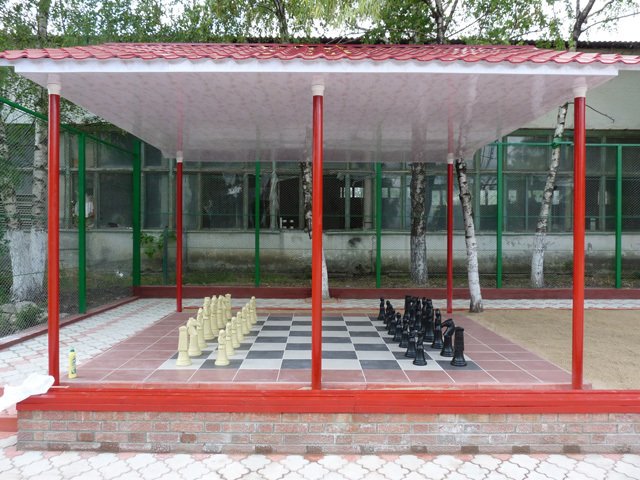 A first chess game was played on the new chess field within this project. 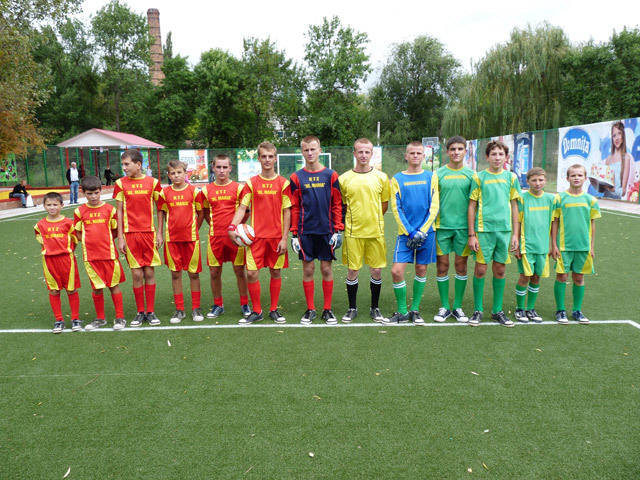 Mr. Vasile Doga, the President of the district Singerei (first on the left) took part in a friendly game. The President of the German organization "Menschen helfen e.V. 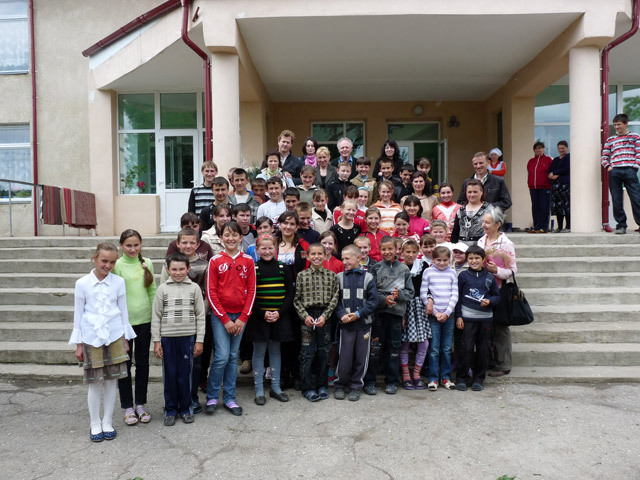 ", Dr. Robert Roithmeier and three members of the same organization – Mr. Ingo Ingerl, Mr. Florian Fleck and Mrs. Stephanie Neumeir – were on a visit to Moldova, in order to see their projects. Thus, they went to the boarding school for children with slight mental disabilities from Straseni and visited the workshops, which repair works the organization financed. 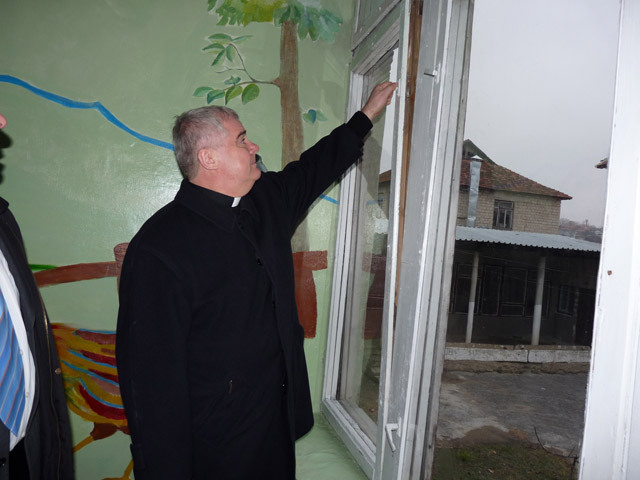 Another visit was made in Grigorauca to the day care center for children "Saint Maria". The organization supports the current expenses of the centre. Our guests were pleased with the projects' development. 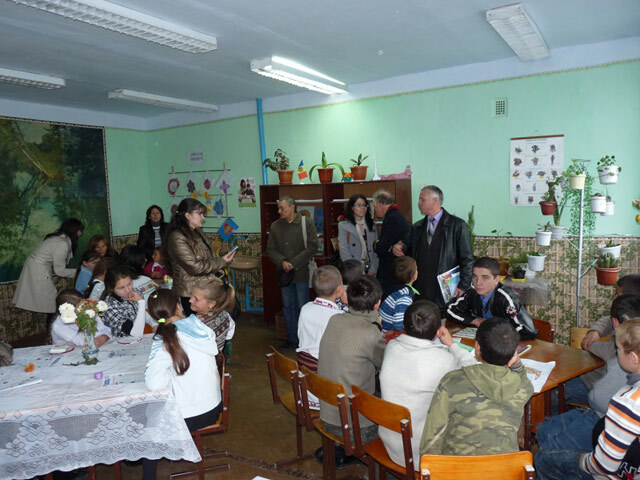 The President of the district Singerei, Republic of Moldova, Mr. Vasile Doga shows a big interest and care for the development of the project "Sports and play ground for the day care center "Saint Maria" in Grigorauca village". In spite of his heavy schedule he was today at the construction site in order to fallow the construction works. Mr. Doga was pleased with the building activities. 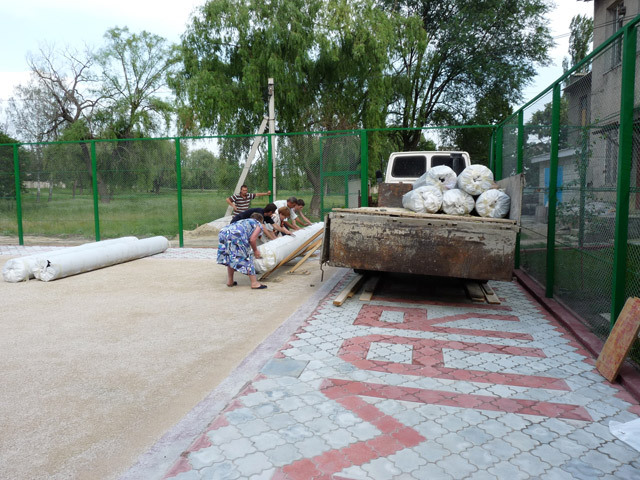 The construction of the chess field within the project "Sports and play ground for the day care center "Saint Maria" from Grigorauca village" will be finished soon. 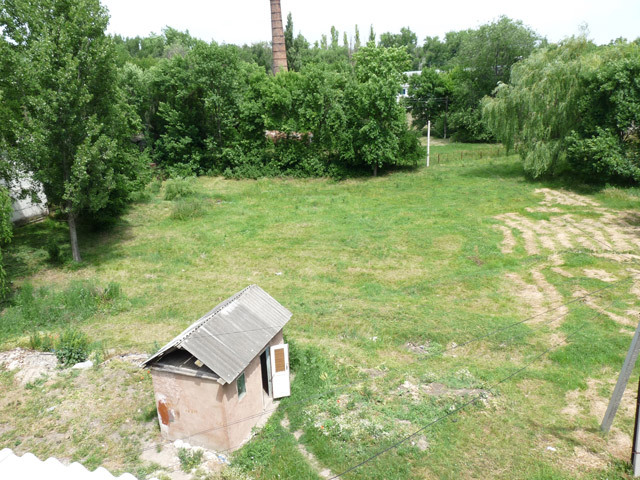 This makes our children very happy, especially that they will be the first owners of such a field in Moldova. 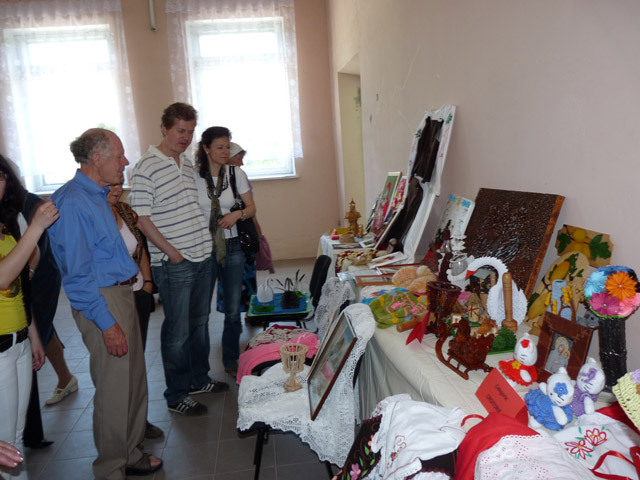 The president of our partner organization "Help for Children in Need" Mr. Peter Garst, his wife as well as Sträuli family from Switzerland were on visit to Moldova, in order to see their children's projects. It was the first visit of Sträuli family in our country. 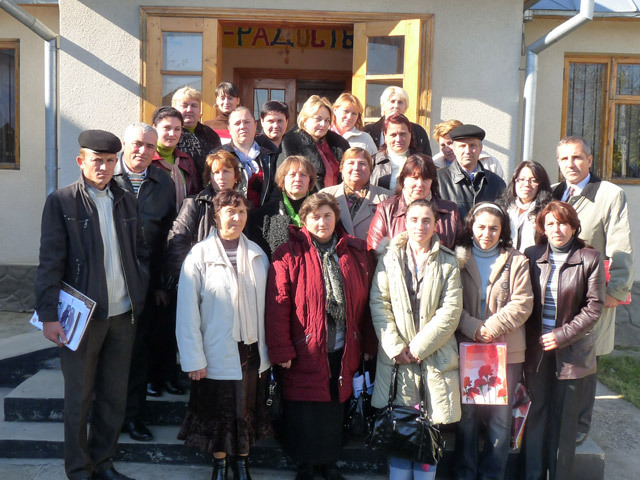 Besides many other meetings – also the seminar in Grigorauca – they visited Cozesti village. They were convinced by the necessity of children's projects and promised to continue helping us in the future. The 6th seminar with all teachers and educators of the 13 day care centers for children BUNVOLENTIA took place on May 15, 2010. Each center was represented; from 2 to 3 persons from each center came to the meeting. There were 23 persons and 4 guests all together. During the meeting success, achievements and results of the work with children were presented and discussed. As our experience shows, such meetings are very instructive and informative. Among these 4 guests was also the President of the Swiss organization "Help for Children in Need", Mr. Peter Garst. He expressed his gratitude for the hard work of all participants. The meeting ended with a concert, at which children from all day care centers participated, and with a competition among the best children's handworks. 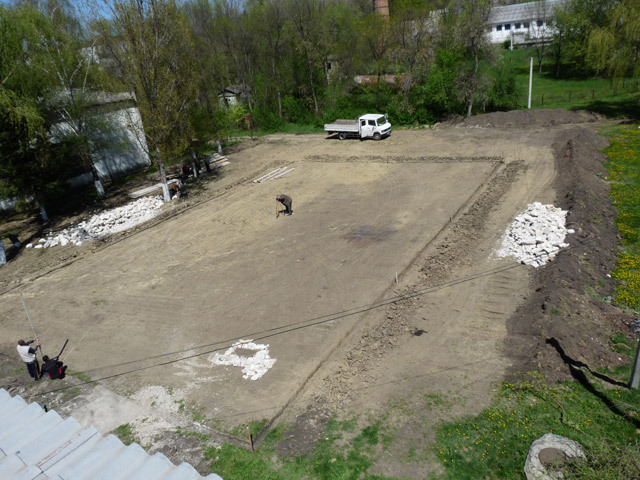 As promised, we present brief photo information about the actual condition of the project "Sports and play ground for the day care center for children "Saint Maria" from Grigorauca village". 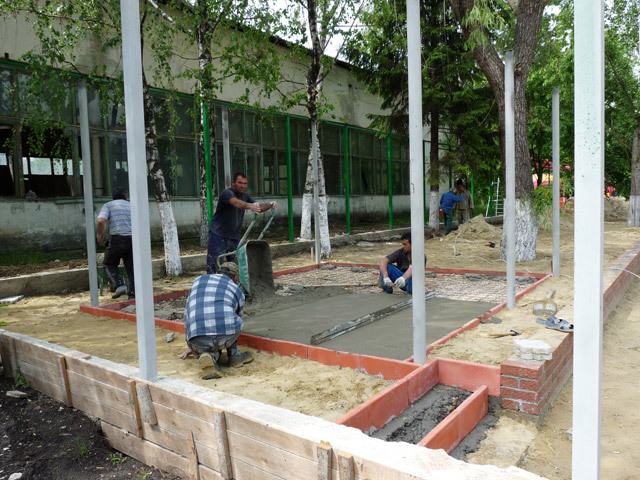 The second construction phase of the project "Sports and play ground for the day care center for children "Saint Maria" from Grigorauca village" has already begun. We express our profound gratitude to all our partners who made generous contributions for the project's implementation. About the further development of the project our web site will inform. The initial and actual construction phase is presented on the photos stated below. Every Family, every Child has the right to live in this world, and not only to live but to have a normal existence. And who else can give them this chance if not us, people around them. Thinking about this, the charitable association: "PRO UMANITAS" decided to develop the project: "Godchildren". In this way, 22 poor children and 10 more deprived families receive financial support from other kind-hearted families from Germany and Switzerland. The received money is usually spent on food products, hygiene articles and clothes. Our day care center for children "Saint Maria" from Grigorauca village is visited by children who belong to different confessions. 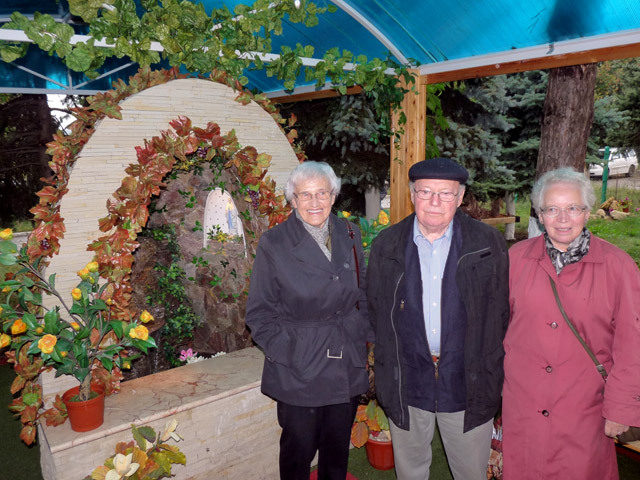 As the holy Easter feast is celebrated by different confessions at the same time this year, the idea to hold an ecumenical meeting has occurred. 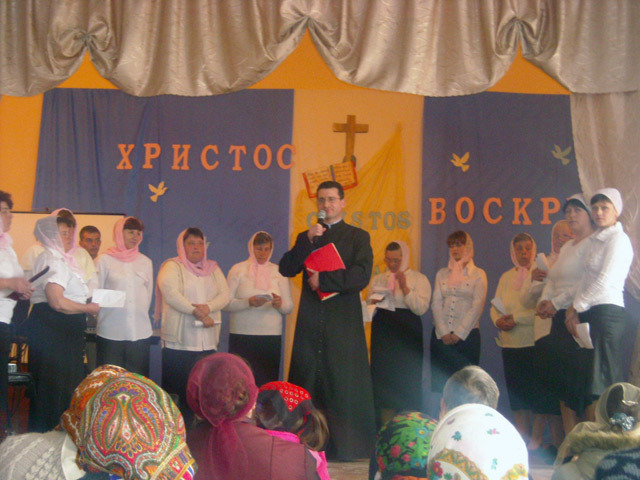 Parents and priests of the 4 churches – Baptist, Catholic, Orthodox and Pentecostal churches – that offer spiritual council to the population of the village, were invited. About 200 people held pleasant friendly conversations. Such meetings connect people despite their belonging to different confessions; teach tolerance and love their neighbor. Easter – holy feast that raises the faith. Easter gives peace, joy of life. 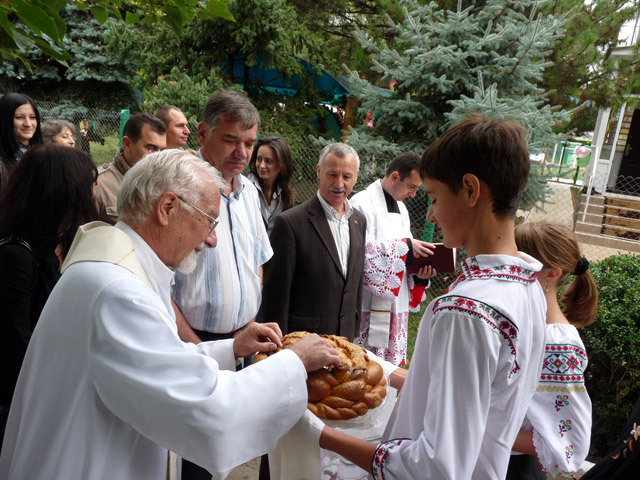 Children from deprived families and elderly people will have the opportunity to experience these feelings and to enjoy the holy feast of Easter. Easter gifts and food packages were distributed to children from our BUNVOLENTIA projects. A part of these gifts children gave to old lonely people. 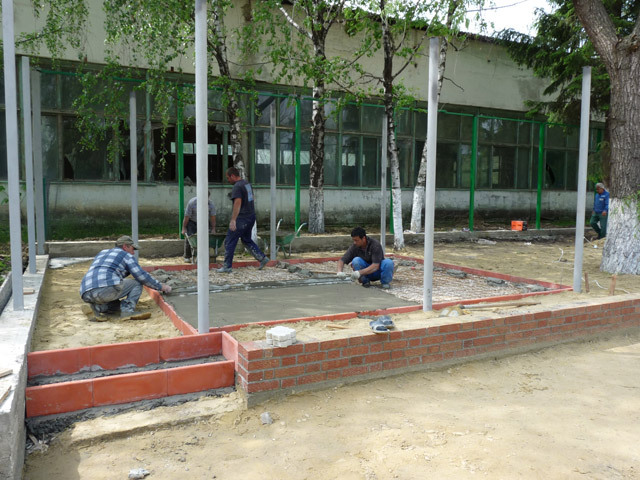 After its visit to Moldova Rotary Club Zug-Kolin decided itself for a long-term financing of a day care center for children from deprived families, thus the costs for current expenses of the day care center BUNVOLENTIA – Misovca were taken upon themselves by the Rotaries. Dr. Monika Kleck from the German organization "Renovabis" visited the office of PRO UMANITAS. Within this visit, discussions about mutual projects of "Renovabis" and PU were held. A special, exceptional day was organized by the children from our day care centers BUNVOLENTIA and the day care center "Saint Maria" on occasion of Women's Day. Their mothers, grandmothers and teachers were surprised with concerts and beautiful presents, that our children made by themselves. The President of PRO UMANITAS, Mr. Vladimir Nadkrenicinii was on business trip to Germany, Switzerland and Liechtenstein. He gave accounts of accomplished projects to our partners and presented new ones. 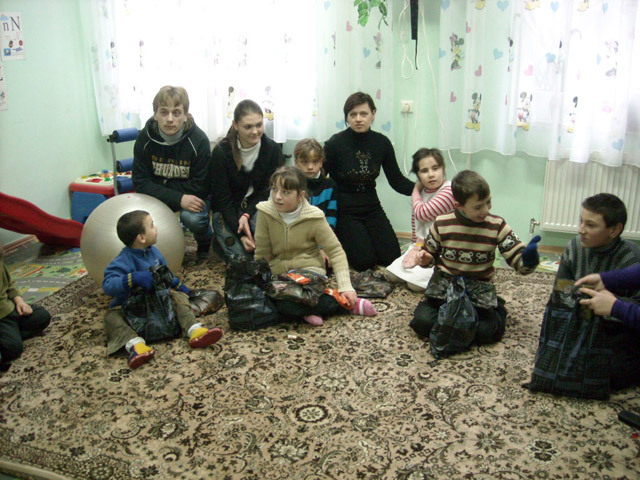 A proof of compassion and sympathy for the neighbor was the further aid action that our children from the day care center "Saint Maria" carried out. 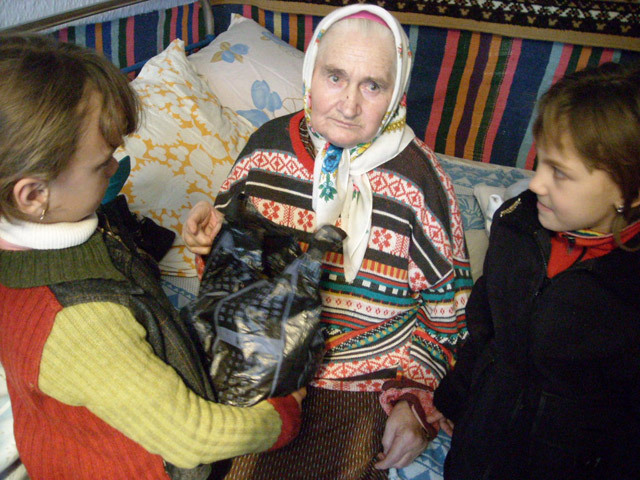 With knitted gloves by themselves and food packages they went to the children from the rehabilitation center in Singerei and to the old people from Grigorauca village in order to bring joy to these deprived and poor children and aged people. 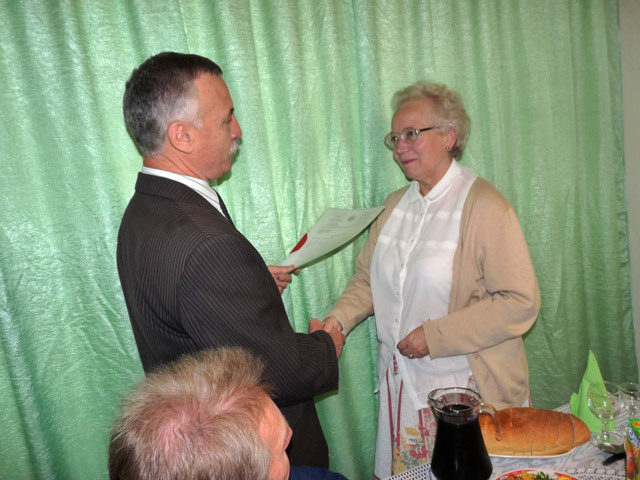 Priest Clemens Bombeck from Gladbeck, Germany was as guest in Moldova. Priest Clemens has a major contribution in supporting many projects of PRO UMANITAS that he gladly visited during his stay. He gathered information about the projects' development for PRO MOLDAVIA and other partners from Germany. 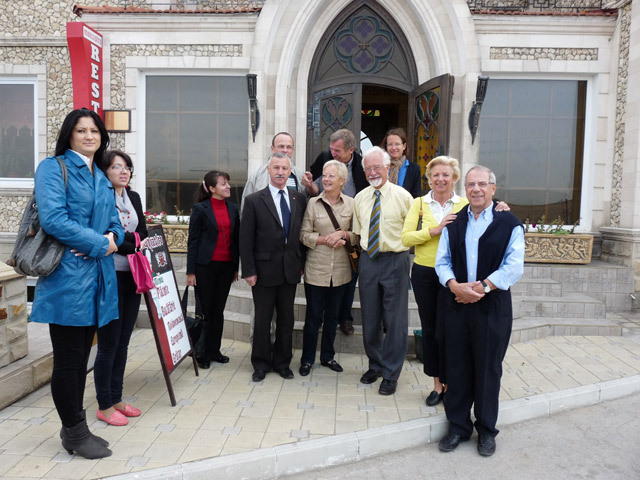 Dear guests from Germany came to Moldova – Mrs. Ursula Honeck and Mr. Gunther Köllner from "Hilfe für Osteuropa e.V.". A special and touching event within their visit was the meeting with godchildren and families. Over 15 years Mrs. Honeck supports her godchildren in Moldova. She also visited different hospitals, the metropolitanate of Moldova and other projects. Hereby, the Charity Association PRO UMANITAS (PU) would like to inform you that in connection with her leaving for another country Mrs. Natalia Caraman, the project manager of PU will not work at PU starting from 01.02.2010. We express our profound gratitude for the services and great work of Mrs. Caraman within the association and wish her the best with all our heart. 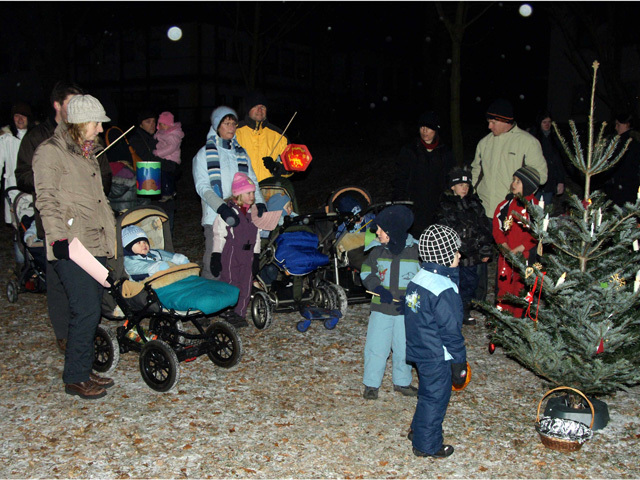 A special event showing that people from Schierling always think about the deprived children from Moldova took place on Christmas Eve in Schierling, Germany. 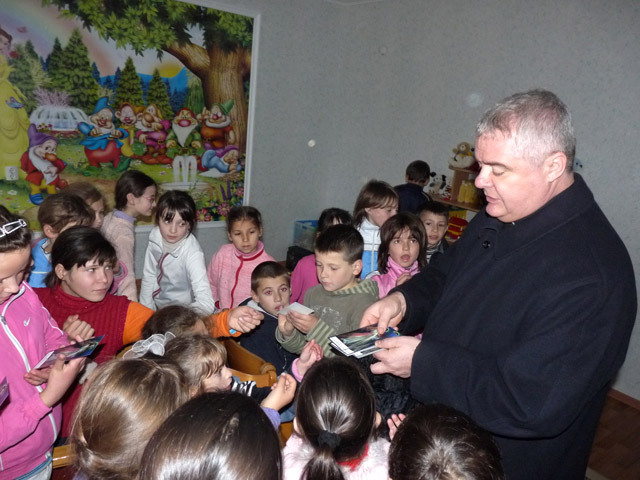 Young families with small children organized an action during which donations for soup kitchens from Moldova were collected and handed over to priest Hans Bock. 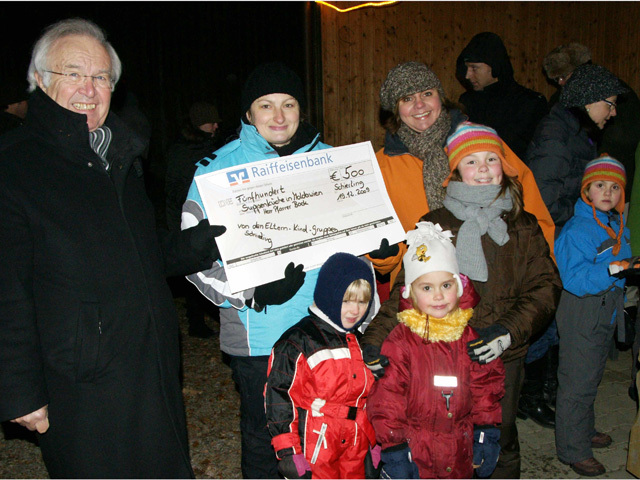 Priest Hans Bock will transfer the collected money on bank account of PRO UMANITAS.